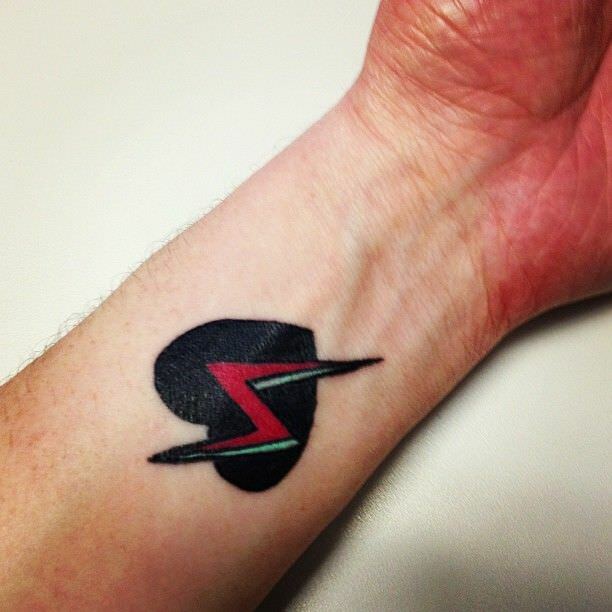 A simple bolt of lightning is a simple, yet striking look, depending on the location of the tattoo. The design is usually seen on the arms as it makes an interesting watch as the muscles ripple. Women tend to go for the small and neat versions near the ear or at the nape of their neck as men are prone for more elaborate versions of the lightning bolt. When the lightning bolt is worn by woman behind the eat, it looks great as it is convenient as you can either hide the design with your hair. 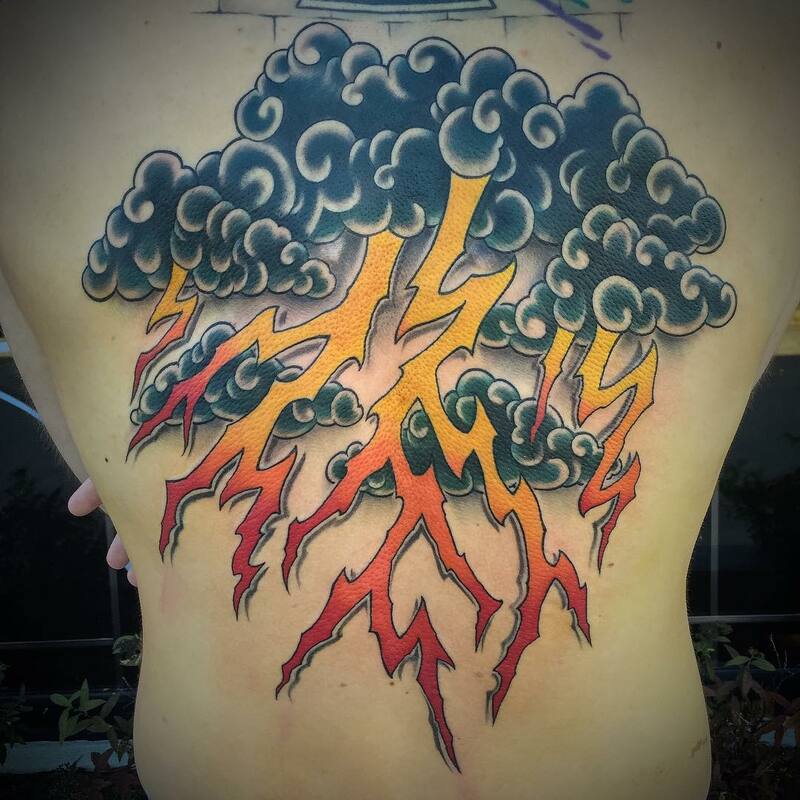 Famously known as the ‘Cloud Tattoo’, this tattoo design typically has a large-sized dark cloud and with lightning streaks coming from the dark cloud. This design is characteristically bold and registers an instant impact. 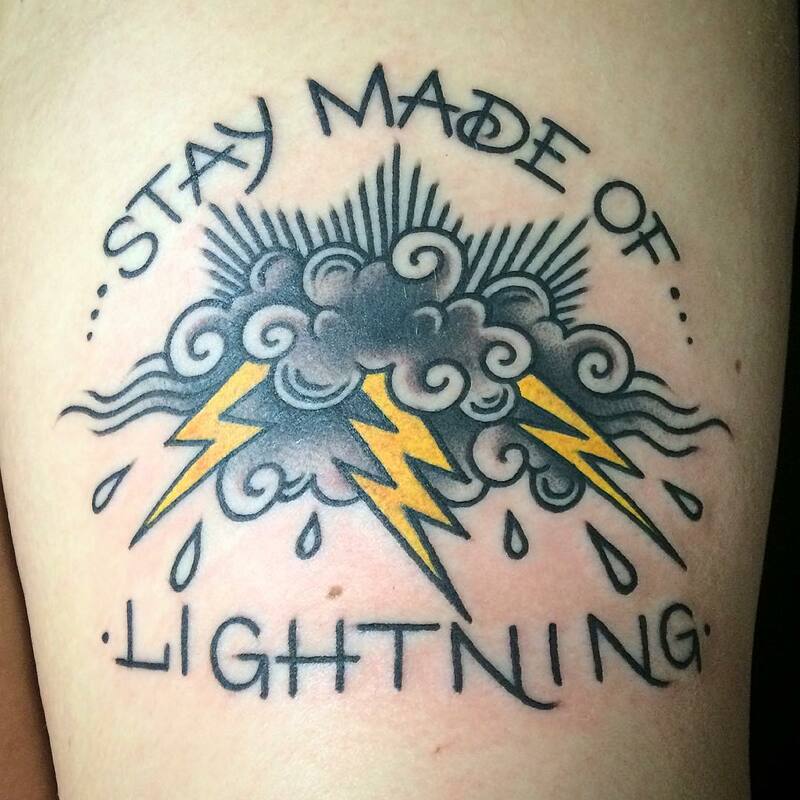 Another version of the cloud tattoo is the Lightning Storm Tattoo. 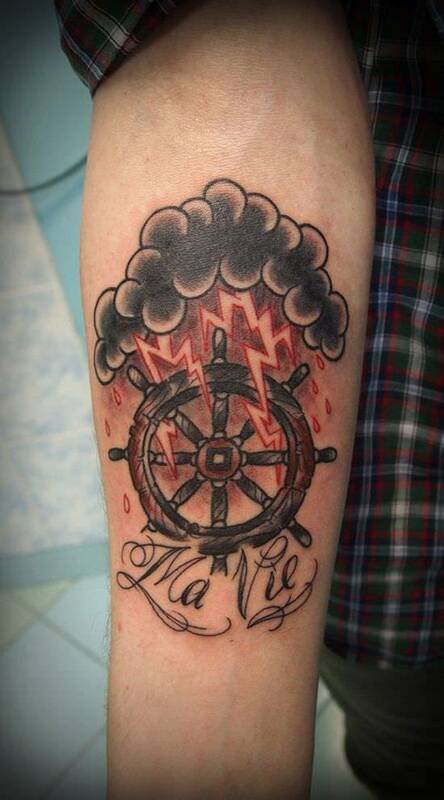 As the name suggests, this tattoos features clouds and lightning bolts as central characters. For more dynamism, tattoo artists often add text in the middle of this tattoo design. 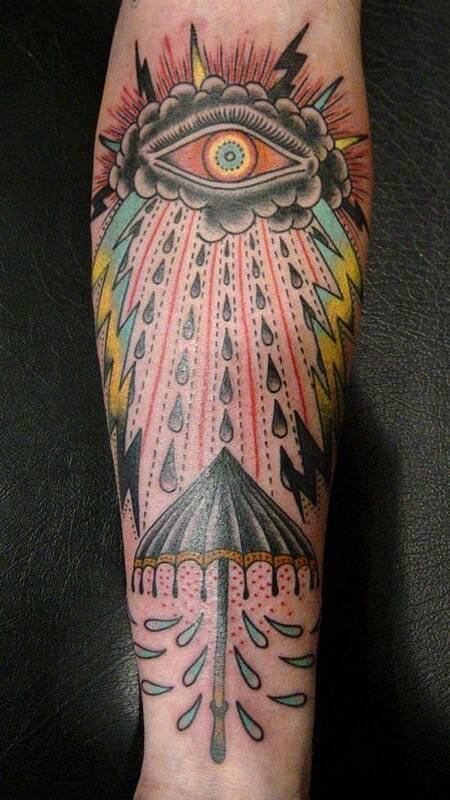 You can have Lightning Strike Tattoo designed in a creative manner too. Along with the darker colors, ask your designer to incorporate lighter hues as well for better impact. 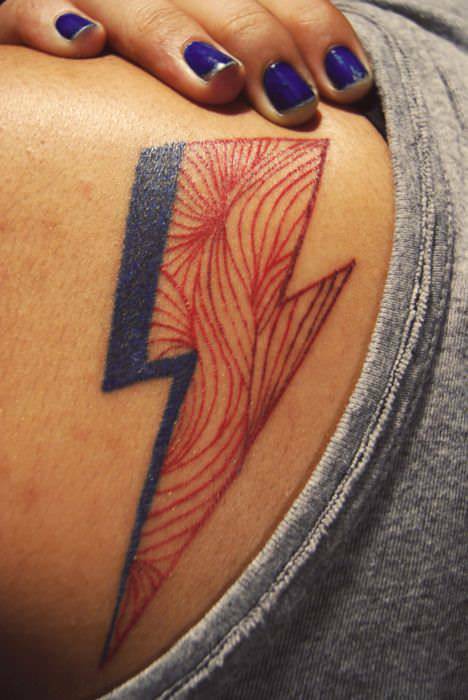 Lightning bolt designs on the shoulder tend to appear in mostly dark colors rather than lighter or golden hues. The depiction of shoulder lighting tattoo designs can be as many or little bolts of lightning. Many choose to have it done in blue for a striking design, while often a combination of blue and white is used. The most preferred form of tattoo design is the sleeve design. 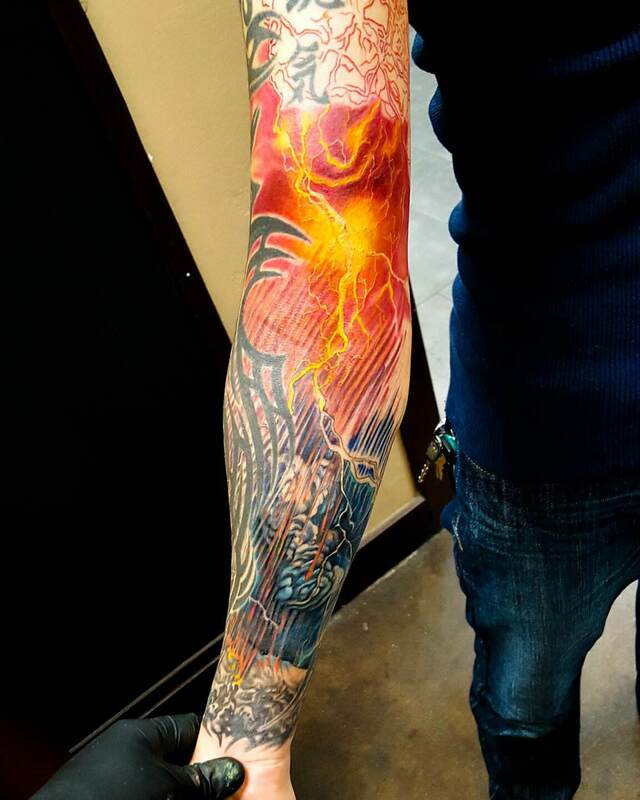 If you’re hoping to get inked on the arm – full sleeve or half-sleeve, rest assured the tattoo artist is going to have a field day designing a lightning scene for you. 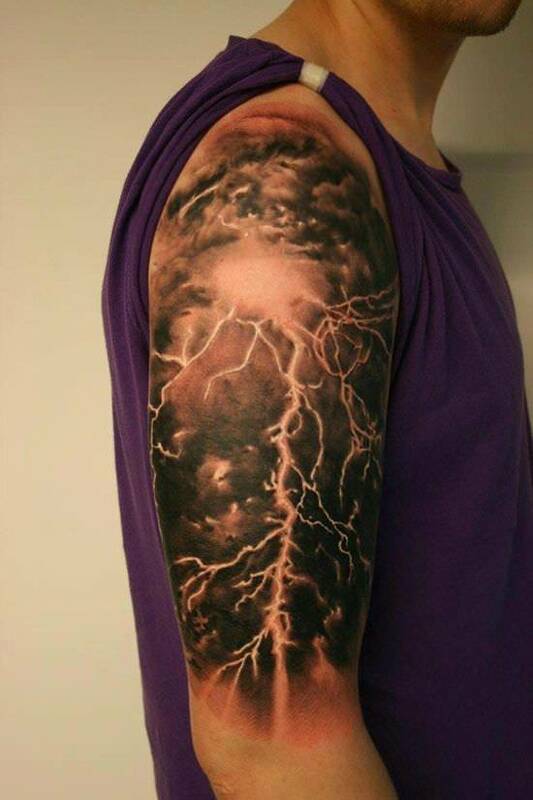 A cloudy storm lightning tattoo is most challenging one to ink because it has so many variations and interpretations. Use bold colors or stick with the basic palette, the tattoo design is going to come out superb. Permanent lightning tattoos are not your choice, then you can opt for Temporary Lightning Tattoo Design. 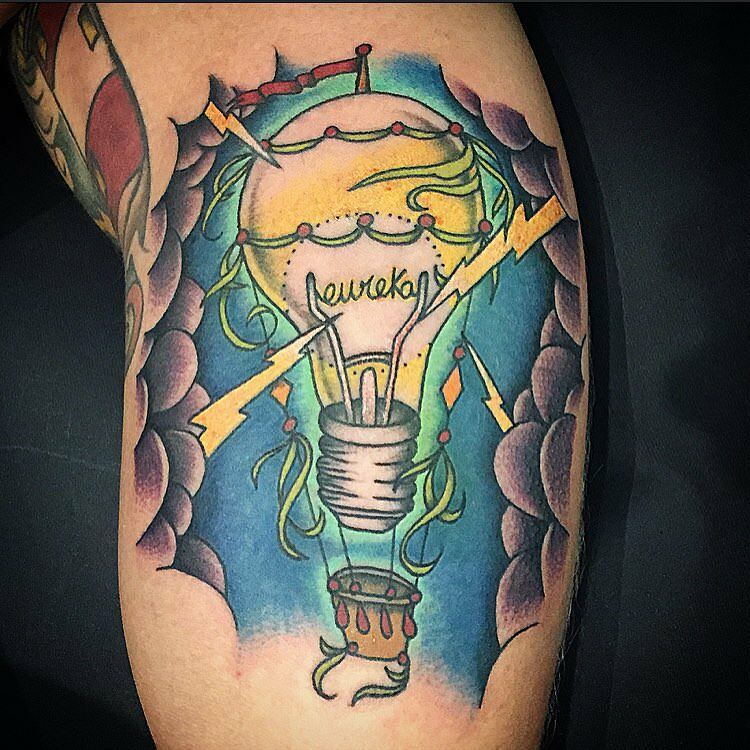 With the help of interesting lightning concepts you can easily have your tattoo artists draw out attractive temporary designs. 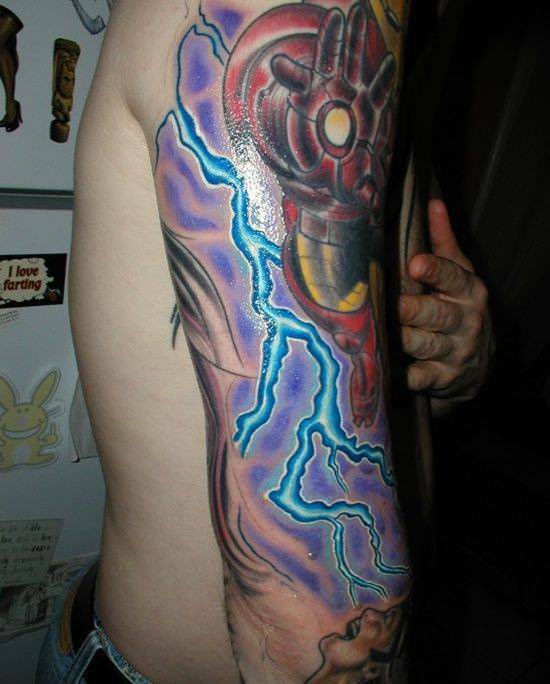 The Lightning Tattoo Naruto design showcases a powerful hand – god-like or human-like, holding onto a lightning bolt. 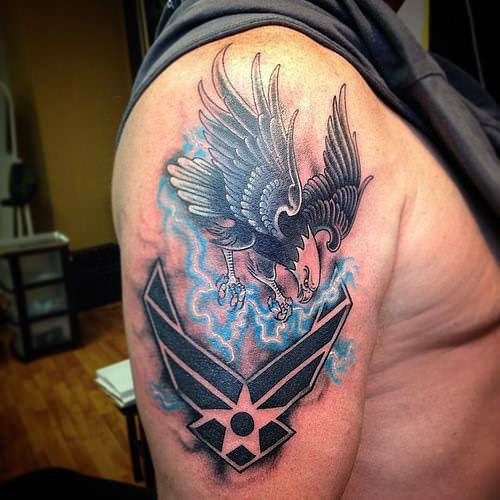 This tattoo design is seen as a powerful statement of strength and endurance. A hand holding on to a bolt of lightning depicts a human or god-like hand holding onto something as powerful as a bolt of lightning in one hand. This makes a profound statement for anyone who is strong and strive-worthy. 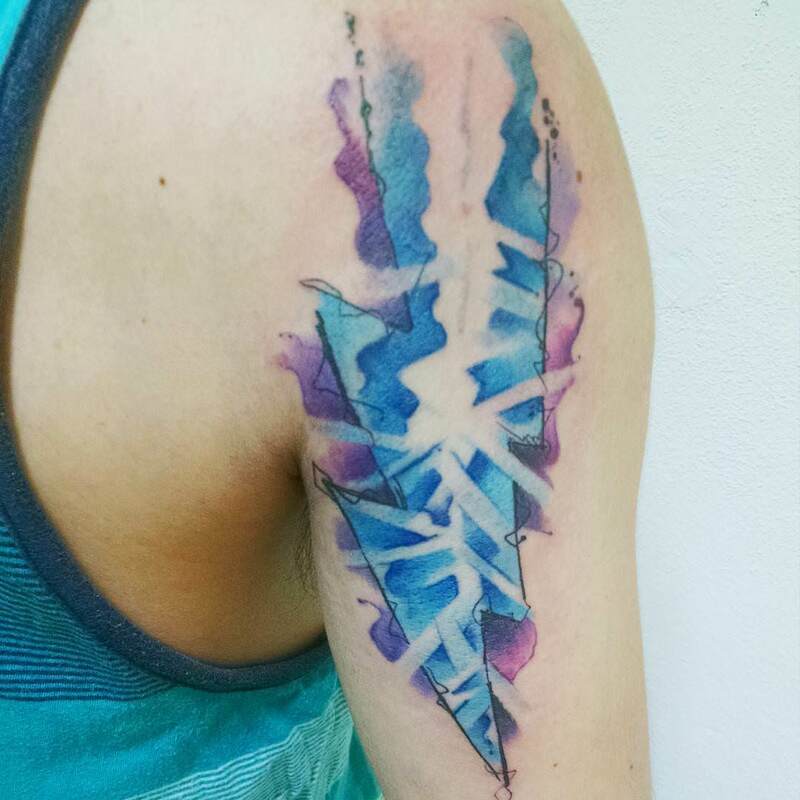 If you have a higher creative fetish then we’d recommend you go on and get yourself inked with a Lightning Wave Tattoo. 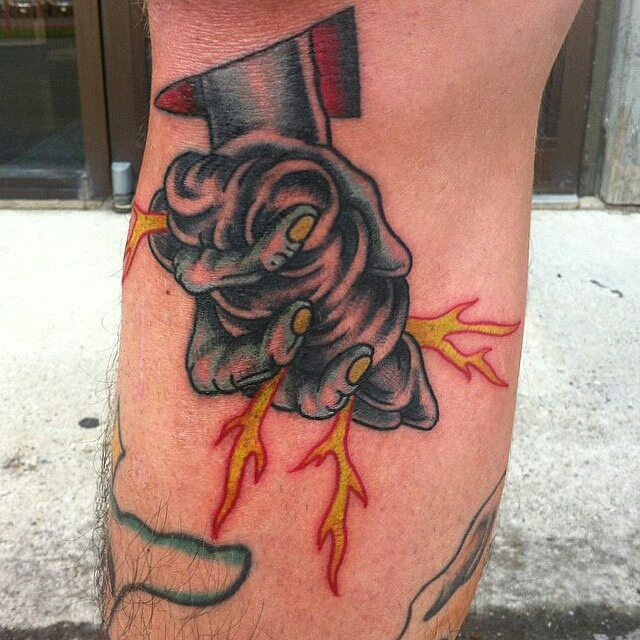 This one’s a latest fad, typically a bold tattoo combing two design concepts in a daring fashion – lightning and waves. This particular design type would look the most impactful on either arm. 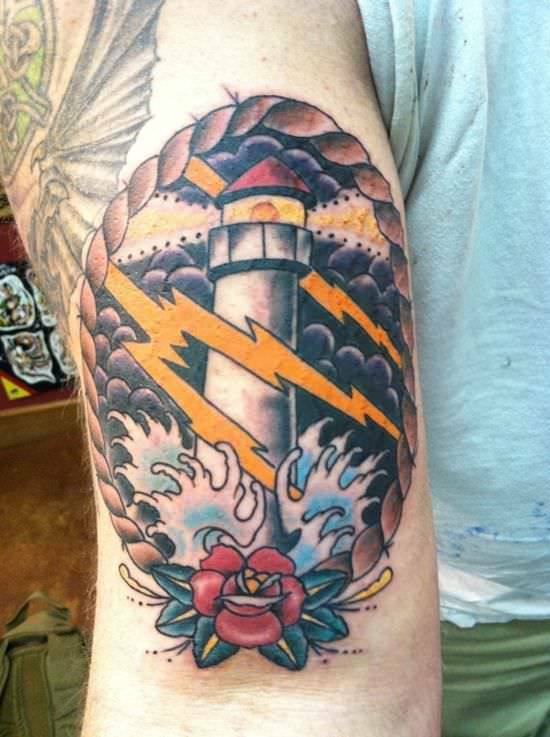 A Lightning Struck Tattoo design would look awesome on an arm which has a lot of muscle on it, so whenever you flex your arms, the ripple effect will accentuate the design even more. 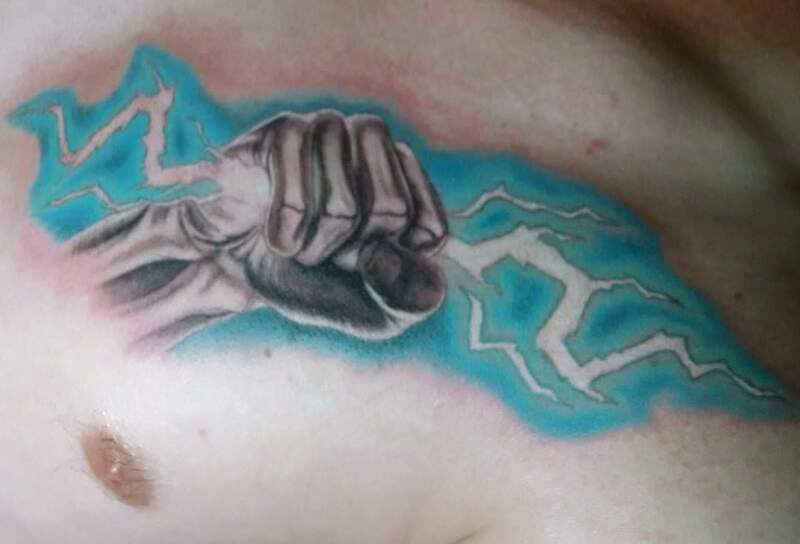 If you wish not to overcomplicate things, we’d suggest you go for Simple Lightning Tattoo Designs wherein you could have the tattoos inked on your wrist or a little close to the elbow region. 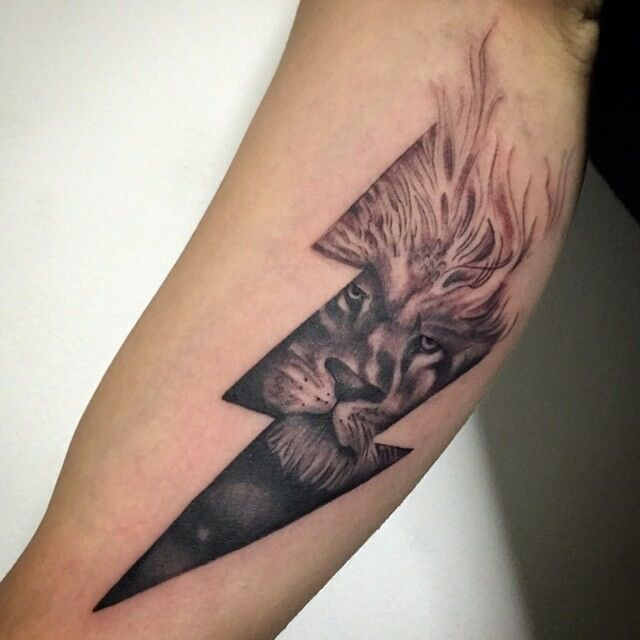 Tell your tattoo artist to interpret the Thunder Lightning Tattoo embedding the head image of an animal – preferably lion or tiger. Inside a black lightning bolt, tell your artist to draw the face of the animal. 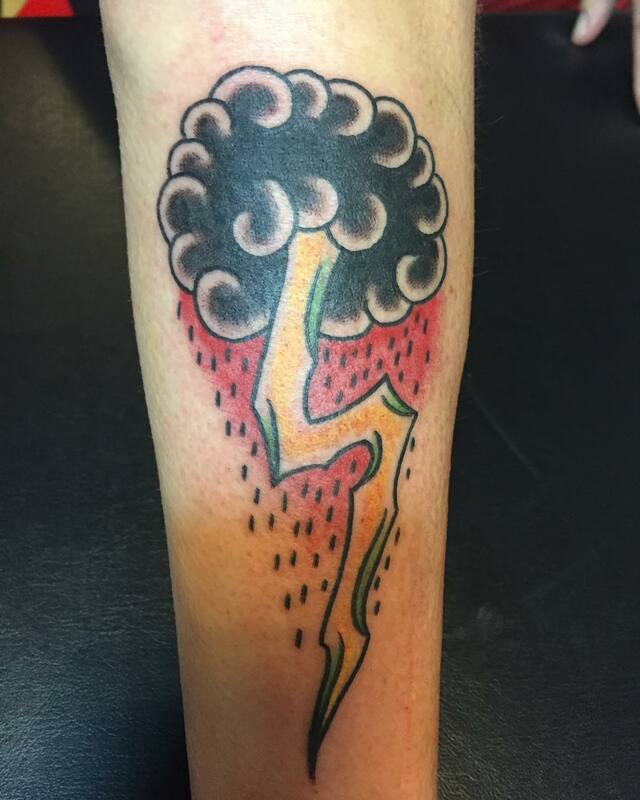 A variation worth trying as a tattoo is having your tattoo guy design a lightning bolt coming out from the ‘eye of the of the storm. Tell you tattoo artist to raw a nighttime scene complete with moonlight, dark clouds and lightning. 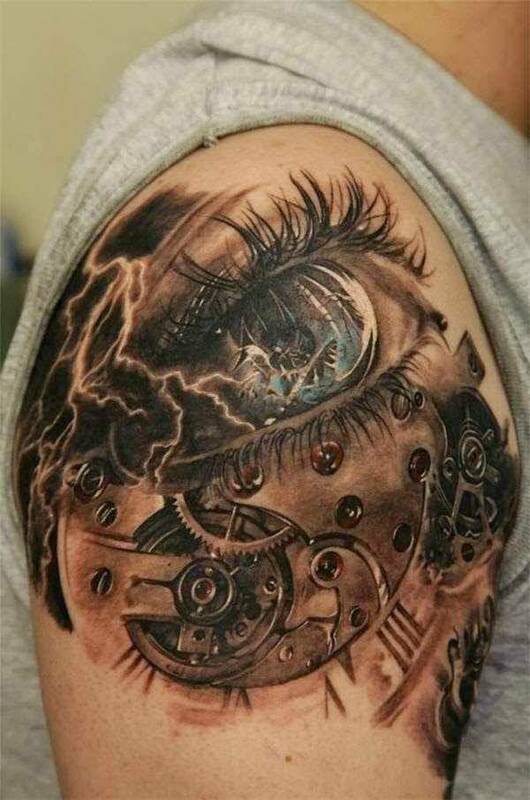 You can have this done on arm, shoulder to elbow. 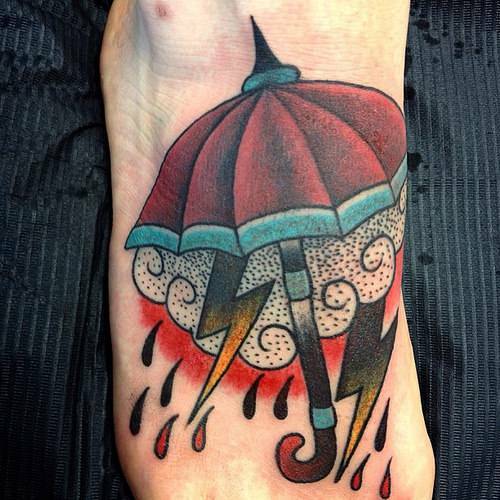 Try the amazing all cloud tattoo with thunder lightning. It’s quite a fashion these days. Ideally this would look great as a full sleeve tattoo. If you’re a Harry Potter Fan and want to get your loyalty inked in a different way, here’s the idea. 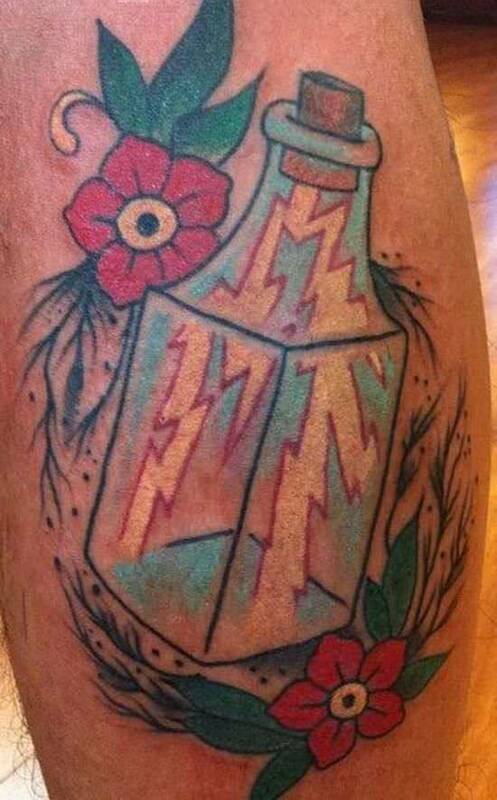 A lightning bolt and the trademark Harry Potter glasses, your tattoo is ready! Here’s one more. Ever imagined a lightning bolt with big size roses in the backdrop? Well, this design is very much a rage among the female folk. Try it! 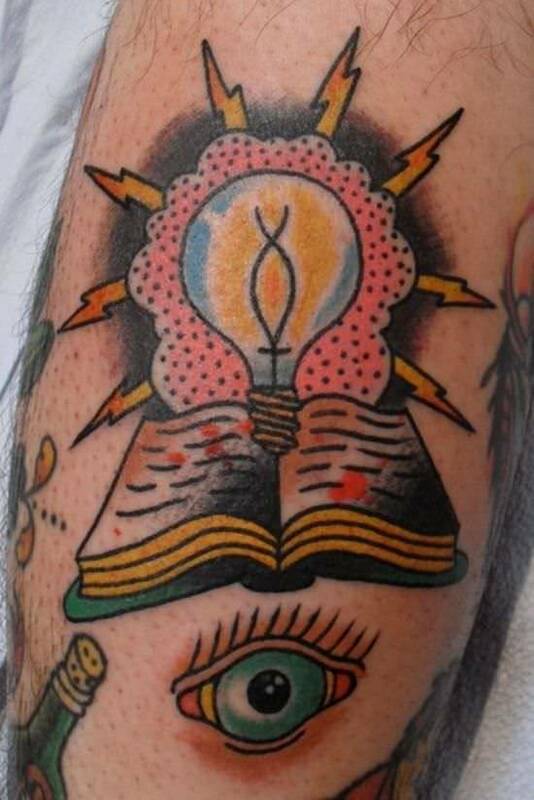 This is one lightning tattoo idea which has never gone out of fashion at all. 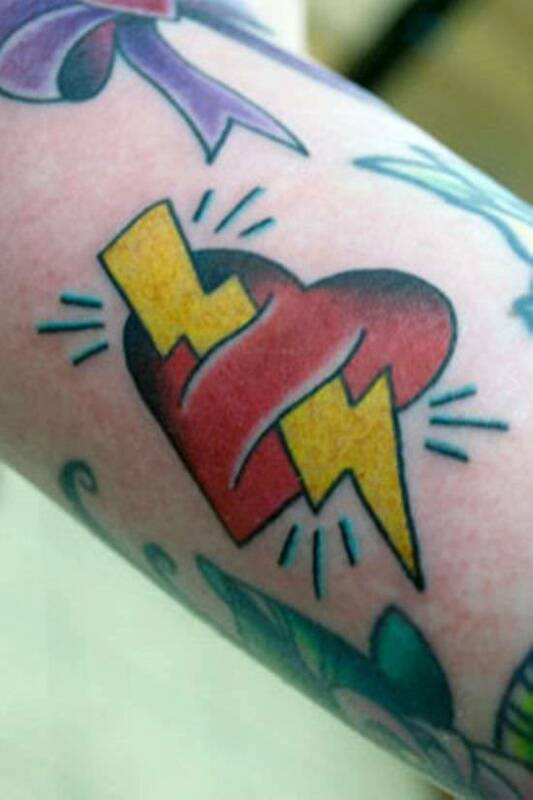 You could ask your tattoo artist to ink a simple but stylish lightening tattoo on the arm. For men, a brash deign works just fine. Women however, should opt for neater avatars. These are an all-time favorite. 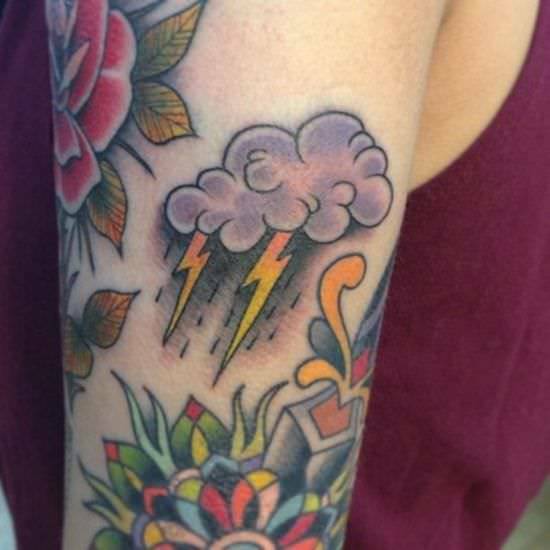 Think of lightning tattoos and the first likely suggestion you’re going to get from any tattoo artist is cloud tattoos. Lightning with dark clouds design is really an obvious depiction of how we see lighting – streaking through the dark and stormy clouds that illuminate things in a striking yet scary way. 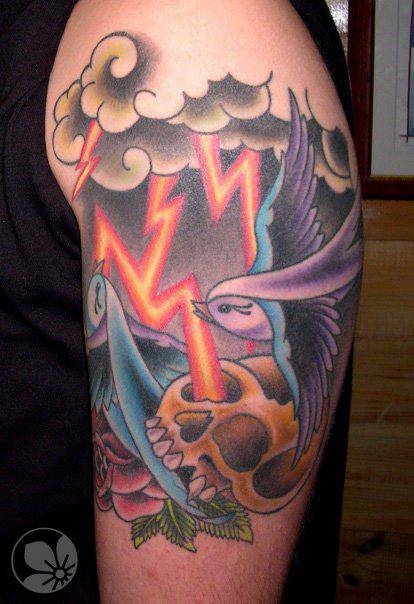 Cross In a Storm: If you’re up to get inked with an adventurous tattoo design, we’d recommend you tell your tattoo guy to draw the quintessential cross tattoo with a stormy backdrop. Ideal location: upper back. Name in Lightning Bolt: Another popular idea for lightning tattoo design would be to have a name embedded in the lightning bolt. Hello Kitty: This one’s for the women and girls. If you’re a fan of the cute kitty character, then surely you’d like to have it on your body in an interesting avatar – this is it!